Objective Thermos is a global manufacturer and pioneer in developing innovative vacuum-insulated products. The brand’s direction for its website revamp focused on a transition from a product centric platform to a content rich website using a lifestyle approach. Their requirements also included a streamlined web design for an enhanced user experience and to create a better content population workflow. 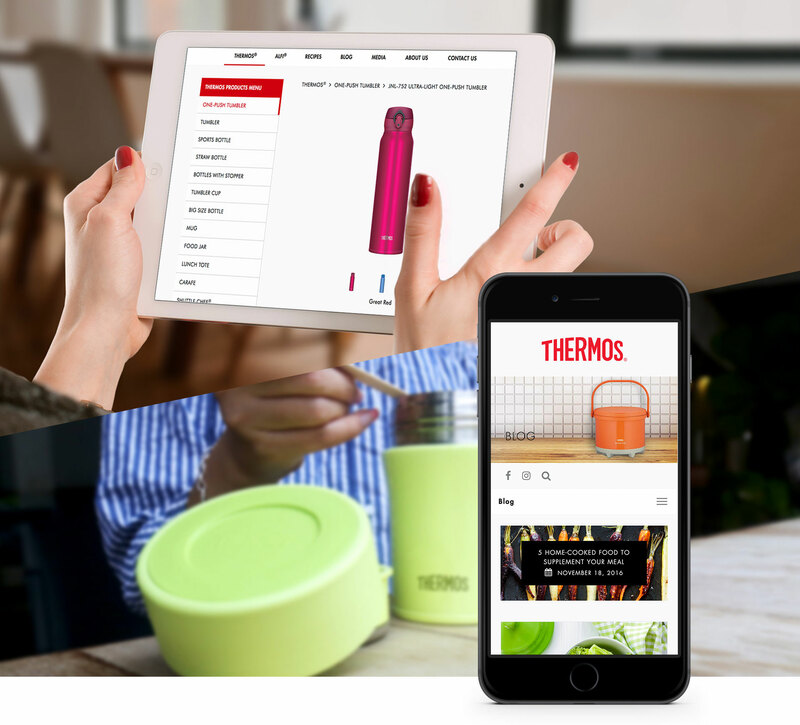 Solution We redesigned Thermos’ website user experience and user interface, and rethought its content architecture to ensure users could access information effortlessly. We also populated the website with rich, current, and useful content tailored to suit our target audience. In this way, it empowered the brand to reach out to more readers and engage returning visitors.